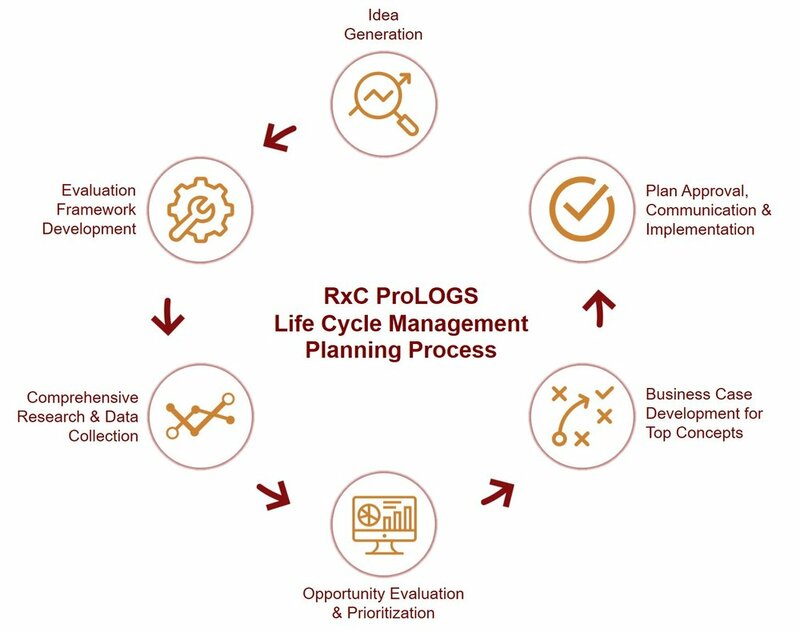 RxC ProLOGS service provides an end-to-end solution for brand life cycle management planning and development. RxC International's proprietary process incorporates in-depth market analysis, cross-functional client input, and industry best practices to produce actionable insights. This new service capability adds to RxC International's offerings as a premier life sciences management consulting firm. Our planning process combines proven steps created by our team of experts and refined while developing over 100 life cycle management plans in more than 30 companies. Substantial market research along with input from Key Opinion Leaders form the foundation of our research methodology. Insights collected during the research process enable us to score key criteria for each life cycle management opportunity and develop business cases for the top choices. Throughout the life cycle management process, we use RxC’s proprietary frameworks and tools in conjunction with client-provided input, resulting in a comprehensive and efficient engagement. RxC International's partners have extensive experience developing, evaluating, and implementing life cycle management plans both as pharmaceutical executives and industry consultants. Our team’s unique combination of strategic and operational expertise enables us to capture maximum value across the product life cycle. To learn more about our market-tested approach to life cycle management, including best practices and value-eroding pitfalls to avoid, visit our Life Cycle Management Resource Center. RxC ProLOGS provides clients with an end-to-end solution for brand life cycle management to maximize the value of current and future products. The output of the process is a prioritized list of opportunities with business cases for top rated options. RxC ProLOGS™ is a trademark of RxC International, LLC.